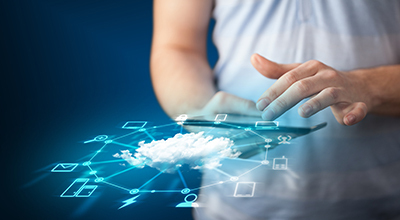 IDC's Canadian Managed Cloud Services program examines both the traditional asset-based model of IT outsourcing and datacenter hosting and the emergence of alternative sourcing models such as cloud computing and as-a-service delivery. This research identifies the latest trends affecting the market and reveals the principles of next-generation models such as the dissemination of IT services, offshoring, and nearshoring; how companies are leveraging outsourcing and managed services to reshape the way they do business; and how these trends will impact the existing marketplace and create opportunities for a range of new and emerging cloud service providers. What is the revenue opportunity for the provision of outsourcing services in Canada? What are the competitive market positions and perceptions of major cloud service providers? Which cloud service providers are best positioned to partner with to increase market share? How can vendors best differentiate themselves in the market? What are the challenges of network and desktop management, and how are Canadian businesses addressing this fundamental IT activity? What are the best approaches to expand markets and services? How can companies best leverage the portfolio of outsourced services and cloud service providers? What impact does offshoring and the Canadian skills gap have on outsourcing? What is the market for offshore or remote infrastructure management?